Four fantastic Dragons tales! In The Endless Night, a witch visits Berk and plunges the whole town into darkness! How can Hiccup and his friends fight such a powerful foe? In Snowmageddon, Hiccup and friends investigate a town which has gone mysteriously quiet; what dangers will they discover? Plus two special bonus stories! 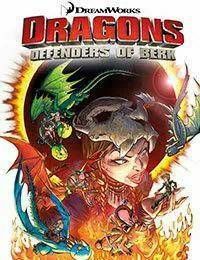 Collects Dragons: Defenders of Berk Digest Volumes 1 and 2.